We have for sale a Vintage Deck of Sealed Mercury Paints Advertising Playing Cards with 1940s Tax Stamp. 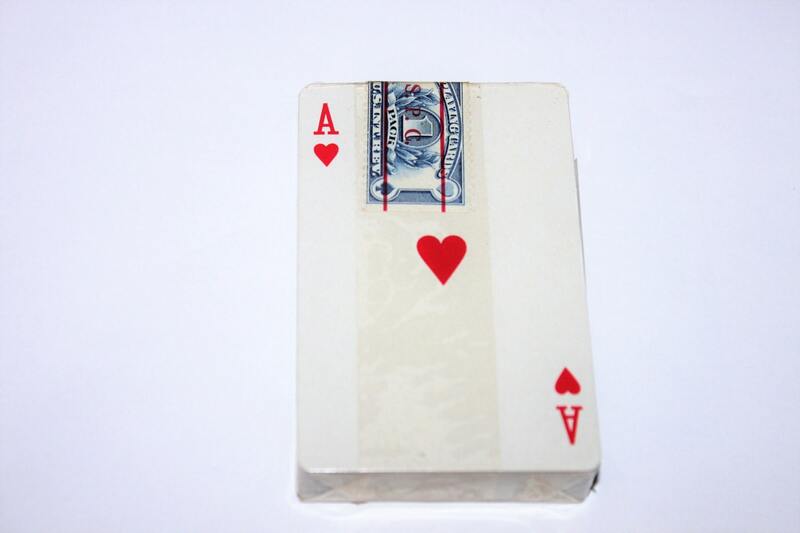 Yes the US government even taxed playing cards at one time, actually they taxed playing cards for several decades. The stamp on this deck was introduced in 1940 and used until the card tax was abolished in 1965. 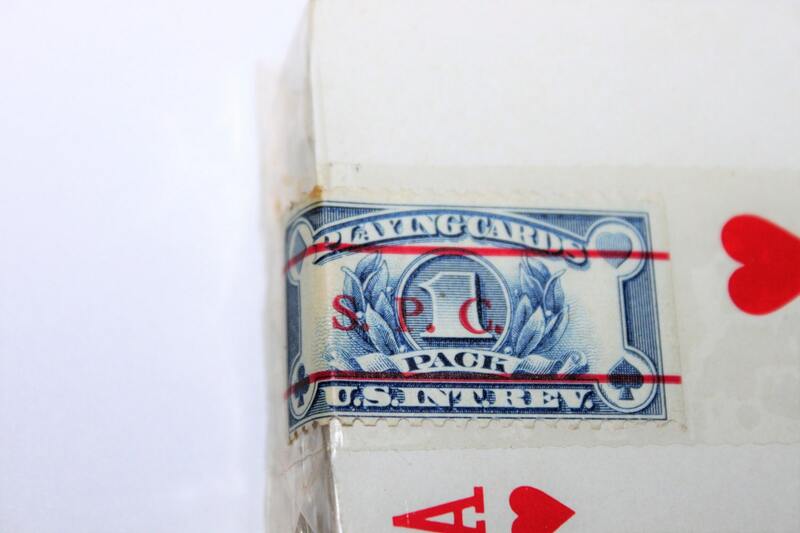 Stamp reads (PLAYING CARDS’, ‘1 PACK’, ‘U.S.INT.REV. also has S.P.C. 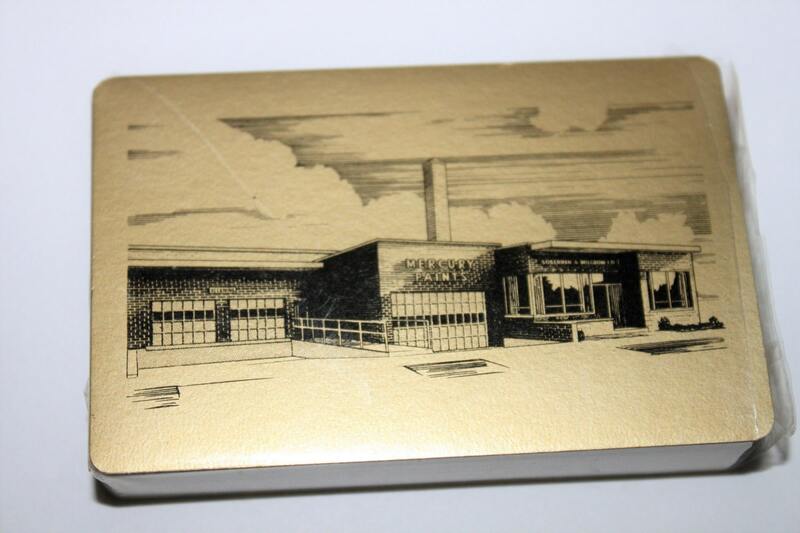 printed on the stamp) The back side of the cards shows a fine black sketch of the Mercury Paints factory on a classy gold background. 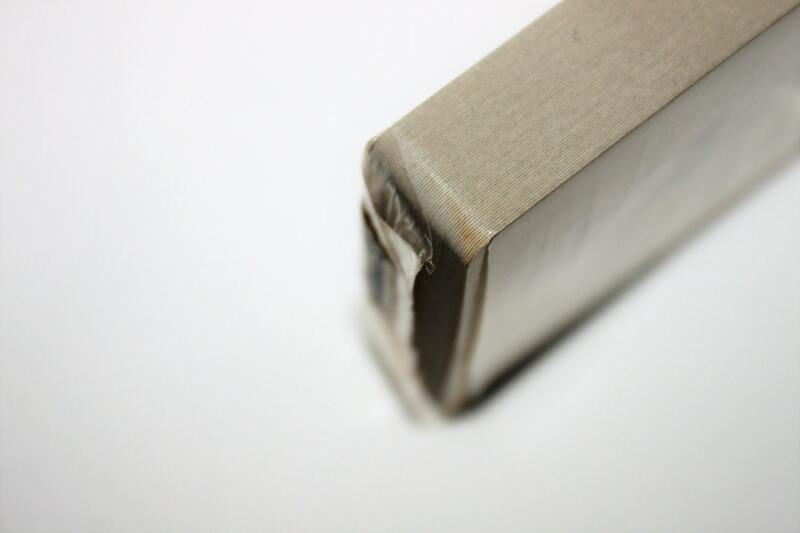 Condition; Cards are unused in original package the cellophane on the deck has shrunk and open next to the stamp.